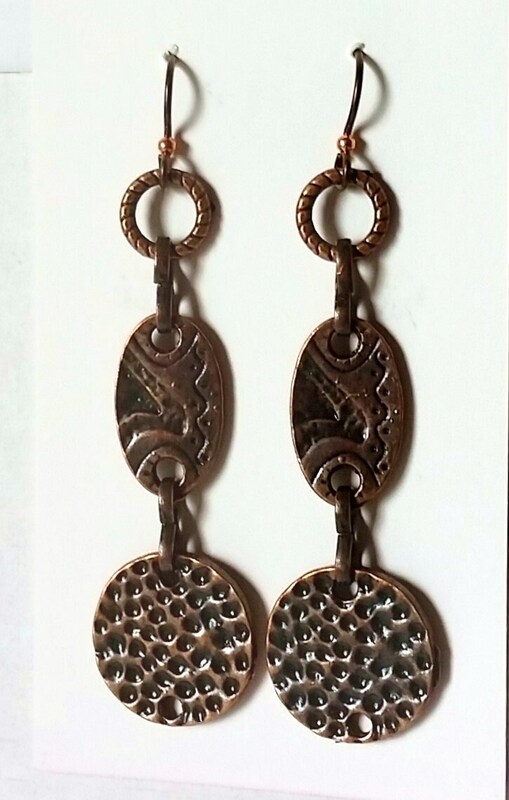 Antique copper long drop earrings have 3 different textures, one on each drop. Closest to the ear wire - which is hypoallergenic niobium - is the rope patterned large jump ring. Below that is a fancifully patterned flat oval coin shape, and beneath that is a round coin shape with a hammered pattern. Each of the shapes has the pattern on both sides. The drop from the ear wires is approx. 2.2 inches. The connectors between the drops are flattened antique copper wire that is "S" shaped. 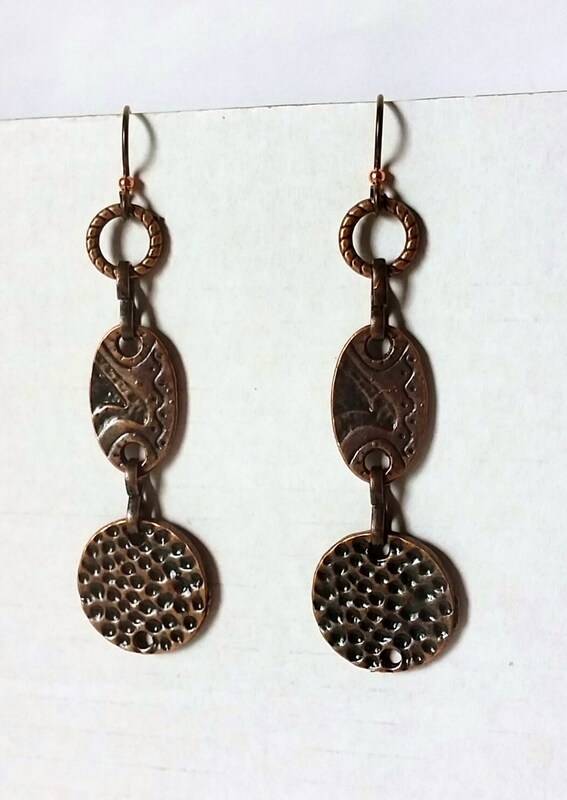 Copper is said to have beneficial qualities of being able to relieve the symptoms of arthritis pain and poor circulation.